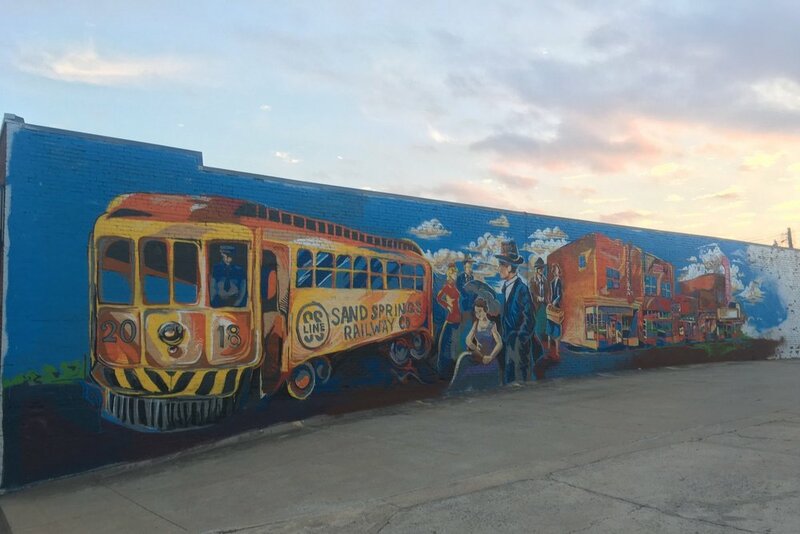 Sand Springs is a thriving cultural hub with numerous art studios, murals, and opportunities for artistic expression. The Sand Springs Cultural and Historical Museum preserves the legacy of Sand Springs's founder and pieces of the town's history, while also leaving room for traveling exhibits. The “Unseen India” exhibit will formally open at the Sand Springs Museum Saturday, March 16, at 4:00 p.m. with refreshments and a talk by the photographer, Bernie Guzik. The “All-Black Towns of Oklahoma” exhibit will continue to run through March 31st. 3/16/2019 “Unseen India” by Bernie Guzik. 11/17/2018 - 2/17/2019 “Shiny Happy Blue Dog” by George Rodrigue. - Read More.